Trustees at the Kenilworth Centre expressed ‘cautious optimism’ about the future at the centre’s annual general meeting last week. The AGM, which was attended by around 25 people, mainly focused on the steps taken by the centre to keep its youth and community work going after losing its £30,000-a-year funding from Kenilworth Town Council in March. Although a petition to save the centre attracted 881 signatures, the council went ahead with the cuts. The loss of the funding mean the former centre manager, Andy Norman, was made redundant, and the centre’s long-term future was in doubt. But the centre kept itself afloat by managing to attract new users such as ILEAP, a charity which helps disabled children, and was hugely boosted in May by a combined donation of £15,000 from Kenilworth Rotary, Lions and Round Table for the next financial year. 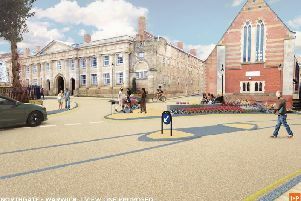 The funding from the three groups could continue for another two years as long as the centre’s business plan progresses well. Chair of trustees John Whitehouse paid tribute to those who supported the centre in the last year. During the summer months, thanks to funding from grant provider WREN, the centre had a new rear entrance to the building installed. The new entrance and new internal structure now provides separate access to the centre’s IT suite, recording studio and radio room. Users of the centre are also now able to book rooms for hire online instead of having to phone or book in person. In the future, the centre aims to expand its youth work by increasing the number of youth club nights and to increase the courses available for young people, such as babysitting and cooking on a budget. The centre’s one-to-one youth mentoring service at Kenilworth School is set to continue thanks to ongoing support from Kenilworth United Charities. And its detached youth work on Friday evenings will also carry on after a one-off grant of £4,680 was given to the centre by the town council. John Whitehouse also appealed for new people to join the centre during the AGM.